Feel rejuvenated with a Liberty Bathing walk in bath tub! 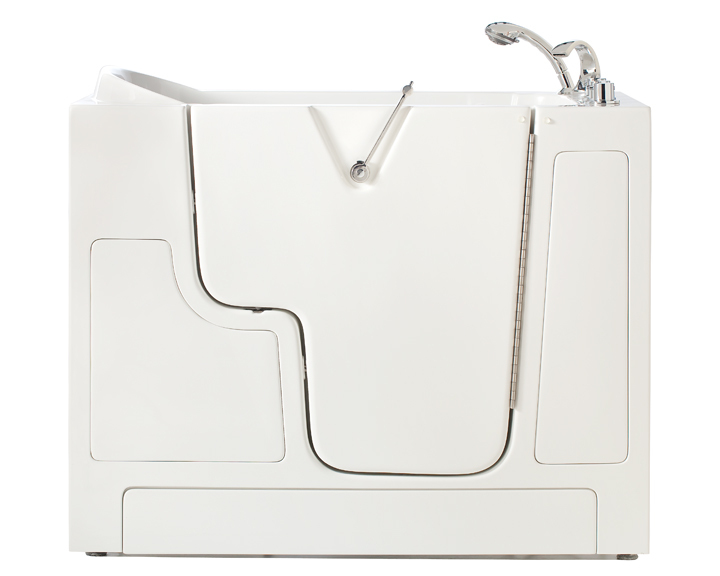 The Jamestown Walk In Bathtub boasts smooth lines with a relaxing back rest. Sure to be the highlight of your classic retrofit or new construction. 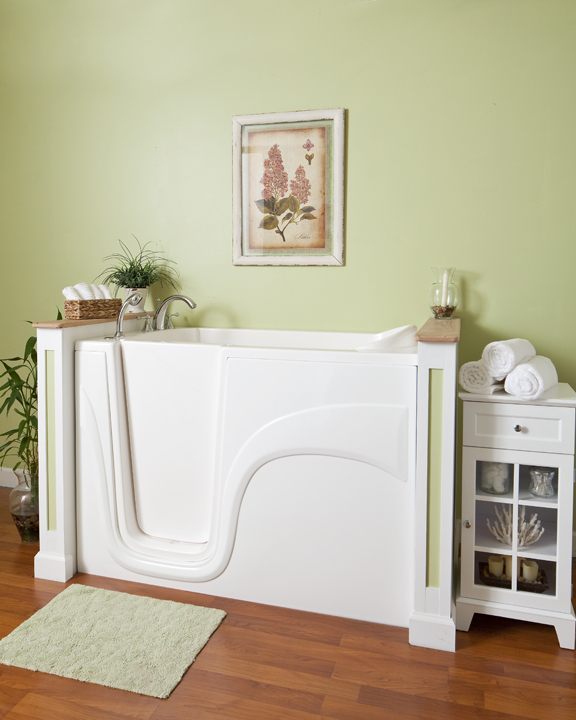 The Charleston Walk In Bathtub is built to replace a standard 30″x 60″ (or longer) bathtub or shower. If your current bathtub is greater than 60″ in length, then this could be a great product selection for you. 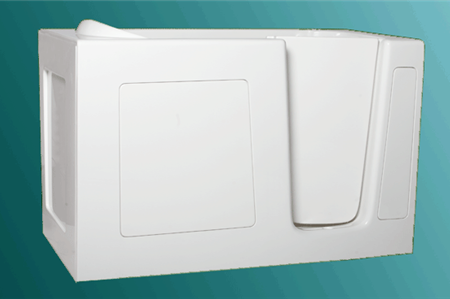 If your bathtub is just 60″ in length, this model could fit, but you will need to speak to a representative before ordering, as installation could be a bit more involved. The Roosevelt Walk In Bathtub is wheelchair accessible tub. 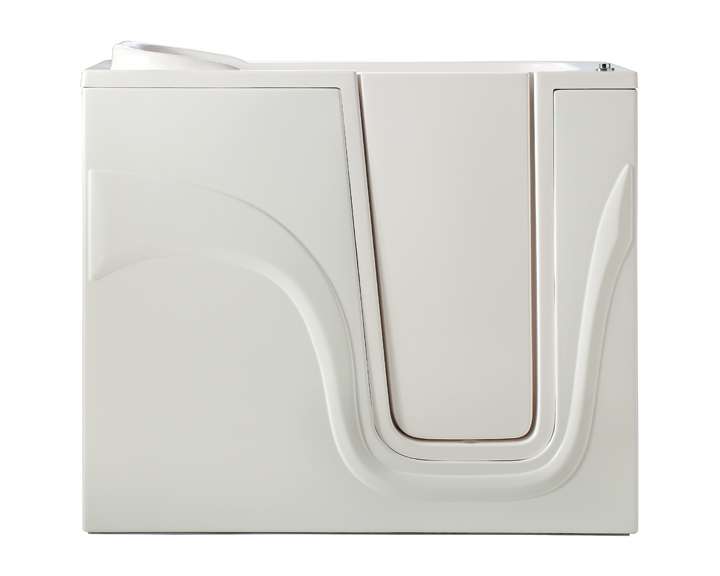 It has an outward swinging door that gives more room for the client with mobility issues to be able to sit on the side of the seat and pivot their body around in the tub. It is also designed to allow a lift to fit under the tub to help lift the client into the tub. The Sleek Lexington Walk In Bathtub makes retrofitting an existing 48″ shower opening a breeze with its inward swinging door. But don’t let the compact size fool you, its roomy interior is capable of soaking your stress away! 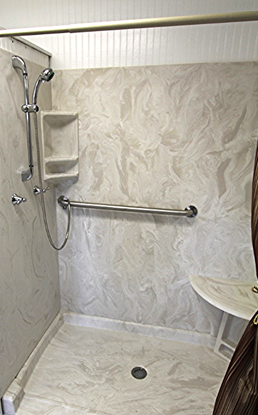 Walk In Showers are available in many sizes and colors. Give us a call NOW for a FREE estimate or stop by to tour our showroom! Our Installation Professionals are happy to help brainstorm the possibilities for your bathroom.